Following your dreams isn't always all it's cracked up to be. "A best friends is always helpful for his friends". If you are a good friend, you should support them by sending them motivational quotes on a daily basis. 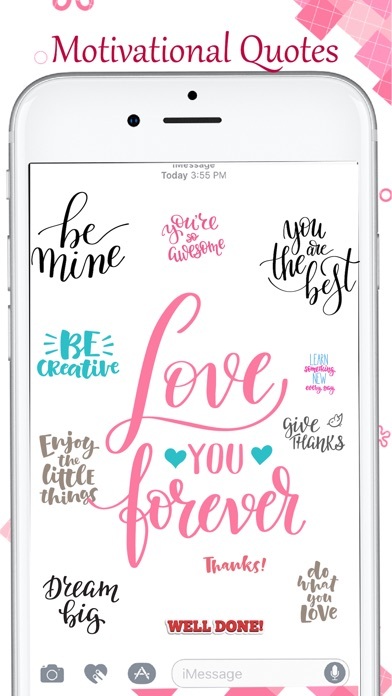 And now you can do this easily via iMessage! 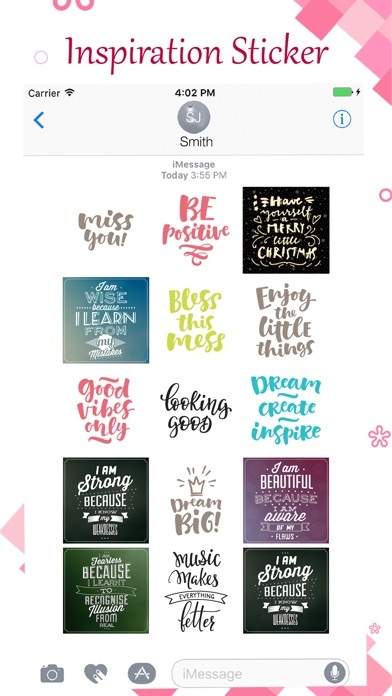 There are more than 50 motivational stickers available for motivate to your best friend and dear ones. 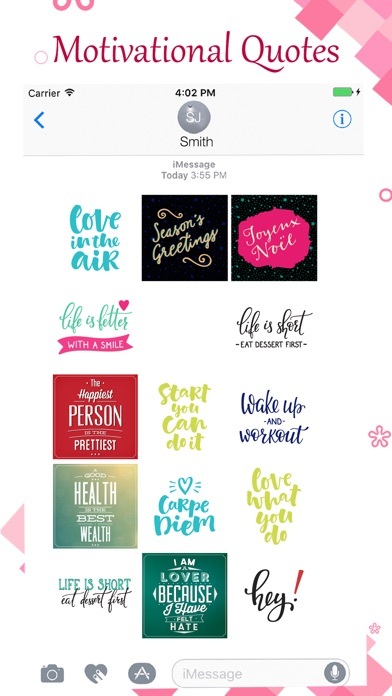 Tips of installing stickers: • To access Messages apps, compose a new Messages to a friend and tap the Messages App Store icon alongside the compose field. • Tap the four oval icon on the lower left corner to open the app drawer. From there, tap the plus icon labelled 'Store' to access the Messages App Store. • In the App Store, tap the Manage tab in the top right to add your purchased apps to your app drawer. 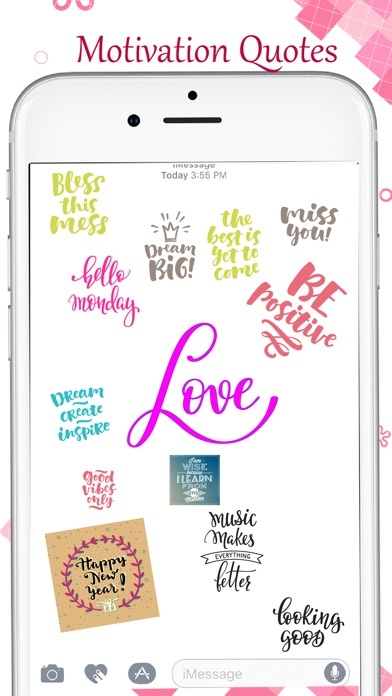 How to use stickers: • Open iMessage from your iPhone • Select the your app's sticker • Just with a single tap send stickers • PEEL & PLACE stickers on top of message bubbles or photos, just tap, hold and drop! 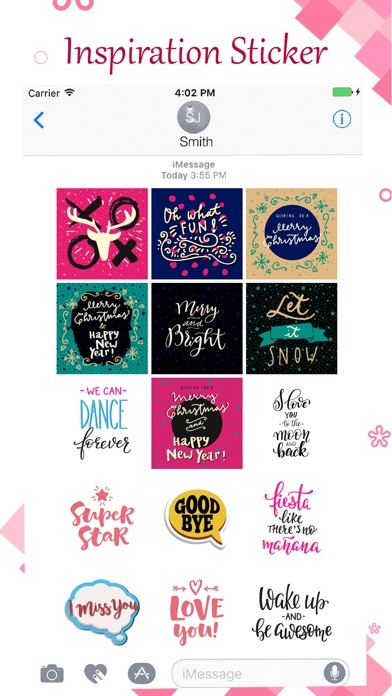 • Layer stickers over each other in conversations in iMessage • Scale & Rotate stickers by using a second finger before you place it on a bubble Please see our other sticker packs by clicking our name “Neeraj Neeraj” above.